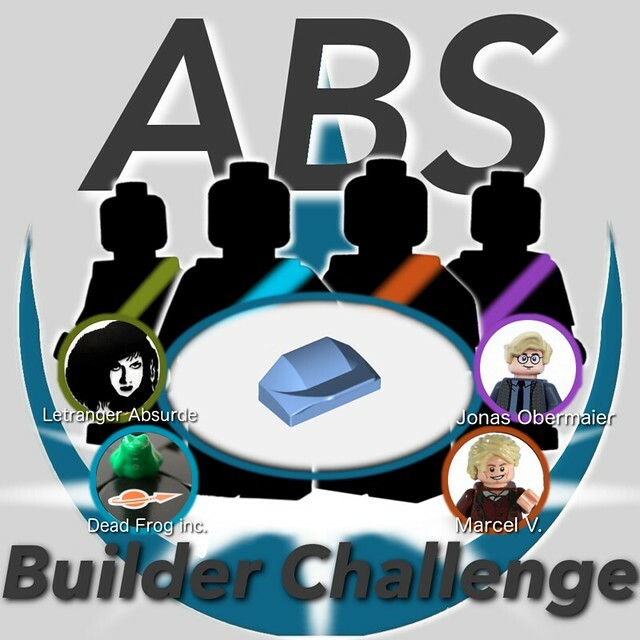 The latest round of ABS Builder Challenge has come to a close and now we're ready to present the results! Four builders, Dead Frog inc., Jonas Obermaier, Letranger Absurde, and Marcel V. competed with quite the challenging seed part, but they all managed to push through with stellar creations, 22 in total. After hectic end of the season schedules, the results from the judges are finally in, and the victor of this round is Marcel V! This round saw the narrowest of margins that this competition may ever see. Keep reading for the breakdown of the scores and some thoughts from the competitors! 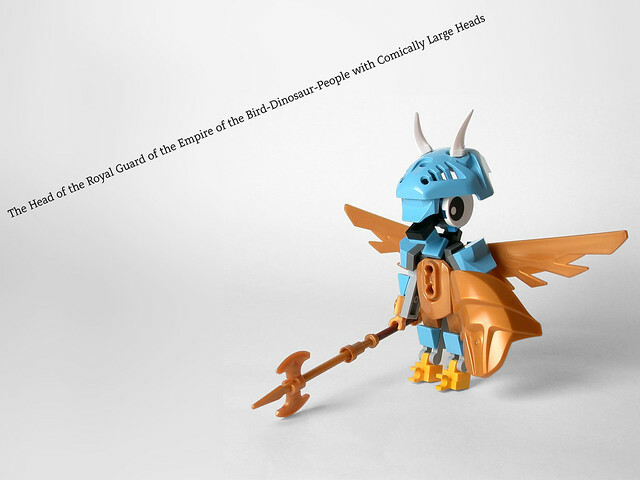 If you want to see all of the creations posted this round, visit the Flickr thread for the competition. We asked each competitor 3 questions about the contest, and below are their responses. What was your favorite aspect of the competition? Marcel - To see with what my opponents came up with, that was probably the best part. I thought a lot about the seed part, but they had totally different ideas. Dead Frog - My favorite aspect must've been that I finally felt motivated to build Lego again after a break of a couple of months. Well, it turns out that limitations do really fuel creativity. Jonas - Certainly my favorite aspect was to have fun. Its also quite a funny coincidence that one of my opponents, Marcel, is also a fellow member of my LUG, Imperium der Steine. But there was also a new challenge, since it was the first time that I took part in a seed part challenge and I would love to come back to the ABS challenge one day in the future. The contest also gave me the chance to try some new techniques and build some themes I have not tried before. Letranger - The competition itself was the best part, It's always great to compete against builders you admire and I'm a big fan of all 3 of them. When you first saw the seed part, what were your initial thoughts, and have your thoughts about the piece changed since then? Marcel - This piece is difficult to connect in a interesting way. The color was "okay" for me, but you couldn't really use it in a illegal way (and I like illegal uses). Dead Frog - My first though was, that It could be really useful for some Pokemon, probably a Water-Type. Turns out I remembered most of those creatures wrong, so that never happened. Jonas - My initial thought was like: "What the hell is this thing? How on earth should I connect and include this in a proper way?!." To be honest I really wasn't pleased with the seed part but I accepted that I have to use it over the next two weeks. My thought about the seed part changed right after I finished my fist entry. I thought it is not as bad as I thought at the beginning of the challenge. The piece is quite versatile but I still dont like the color. What was your favorite build that you made this round? Could you tell us a little bit about it? Marcel - I'm not 100% sure, but I probably prefer "The casket." Although it doesn't suffer much from the seed part, it totally went from there. The bridge was the first thing I had, and I just built all the way around it. After I finished the micro castle, Legopard gave me a hint to present it in a little "something." 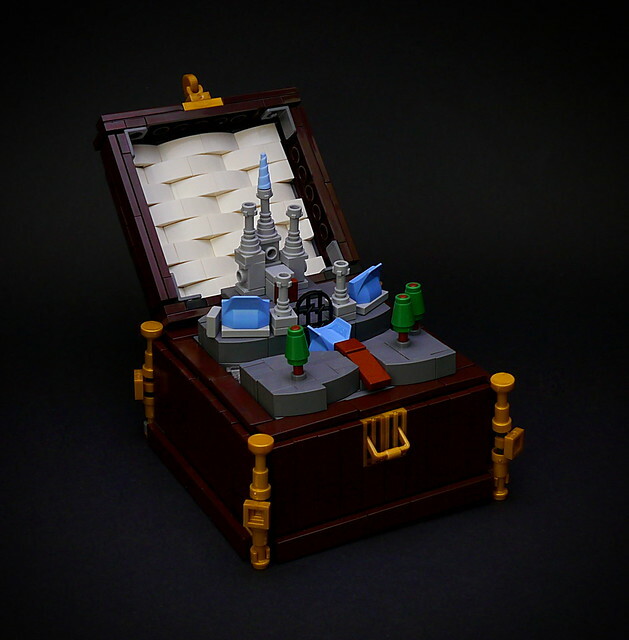 So I added the casket in darkbrown/gold and the castle benefits from it. Dead Frog - I'm a bit split on this one. On one hand I really like the Weiss Schnee figure, especially as I binged through all 3 seasons of RWBY just around a month ago. But my absolute favorite must be the Bird-Guard-Dude. It basically started out with me experimenting with Bionicle Masks, as those were the only few pieces I have in light blue. from that point I just tried to add mixel eyes somewhere, and after about an hour I had created this weird, little creature. I think the greatest difficulty was to connect the Mixel arms to a Travis-base, as I've never really used them before. But now it's rather stable and still guards my Desk today. Jonas - Its quite hard to chose my favorite build that I created this round. I both like build #1 "Sailing to new horizons" and build #5 my Dino-Mecha. The reason I like #1 is because I built it straight on Sunday night. On the same day I returned home from a LEGO exhibition/event in Austria, I also purchased the trans clear base plate there. It is also my entry with the most feedback and faves on Flickr. But I also like MOC #5, because it is the first time that I tried to build something mecha-like. I think the legs turned out quite nice in account that I never built something like that before. I am also a little bit proud of myself that I managed to incorporate this old dinosaur in some crazy way. 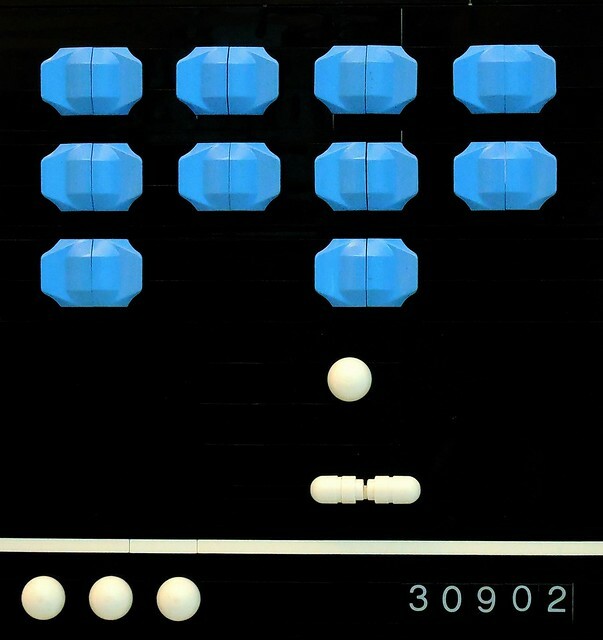 Letranger - The breakout game definitely the parts just seemed to fit well in that context. The biggest challenge here was the photography, getting it decently aligned and dealing with the glare on the black background took a few tries. It probably took more than building itself. We want to thank the builders for competing in ABS Builder Challenge and sticking with that tough part. 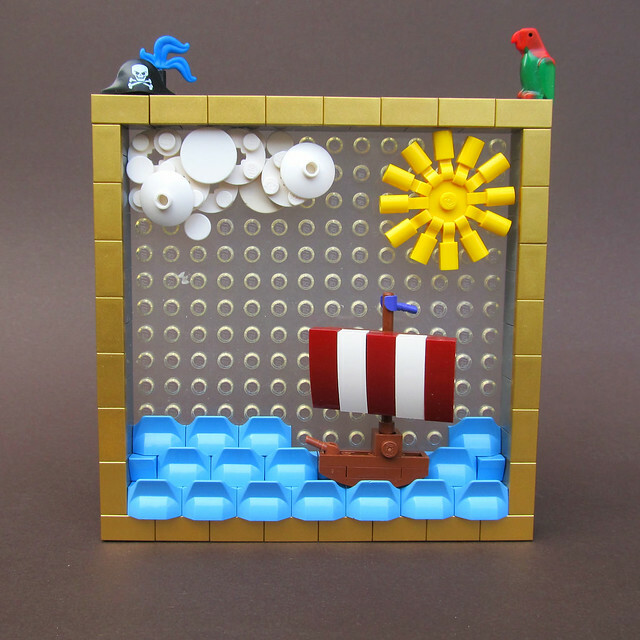 Be sure to visit the Flickr thread for the competition to view all 22 creations built for this round. What did you think of this round and how close Dead Frog and Marcel 's scores were? Let us know in the comments!